Killing time at DXB Airport isn’t exactly difficult (you can even go and have a nap in a sleep pod if you can’t be bothered shopping), but it looks like your wait just got even better. Dubai Airports has partnered with ICFLIX so that you can enjoy free movies and TV shows at Dubai International while you wait to board the plane. 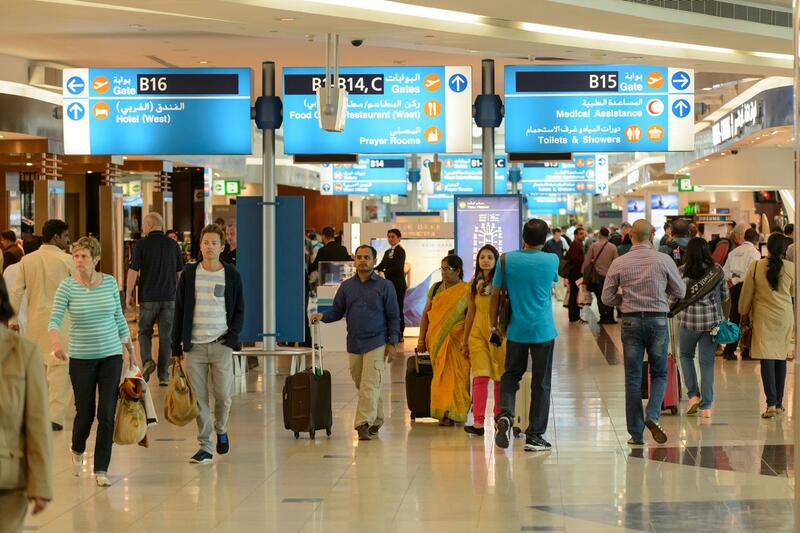 The video demand service has teamed up with the airport’s free WiFi service, ‘WOW-Fi’, so that you can stream the latest Hollywood, Bollywood and Jazwood (Arabic) films, as well as your favourite TV shows, completely free of charge. And apparently there are plenty of other projects launching soon. “Our continued investment in a superior Wi-Fi product (Wow-Fi) has ensured that our customers are connected with a free and fast service, and now we aim to enrich that platform with managed content and relevant messaging. Thanks to our partnership with ICFLIX, travellers at DXB can now enjoy a wide range of streamed entertainment before and between flights, and this is a service which is completely free of charge to users. We are delighted with this new addition to our consumer strategy, and look forward to evaluating its impact,” he added. Carlos Tibi, Founder and CEO, ICFLIX, commented: "Our mission is to deliver the best online entertainment value, selection and experience to a worldwide subscriber base by providing Jazwood (Arabic), Bollywood and Hollywood content in one place. Today we just expanded that potential customer base by 90 million people so we are absolutely delighted with the deal and excited by the opportunity it provides." Those of you who are flying within the next two months can get excited, because the complementary ICFLIX access is now available. However, it’s on a trial period for two months, and they will decide whether to continue the partnership based on customer feedback… Better make sure you give it a big thumbs up!